Facing the early morning sun, take the following oath by reciting it audibly.
" From this day onward, I take this sacred oath to become a sakahari. My oath is my word. 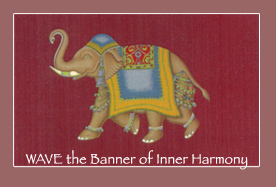 My word is my contribution to inner harmony. May the universe protect me as I abide in reverence with all life." To solemnize your sacred oath as a Sakahari, write it out in your personal journal, sign and date it. To receive Mother Maya's blessings on your initiation as a Sakahari, we ask that you sign in on our Vow Register with your name and country to let us know that you have taken your sacred oath. 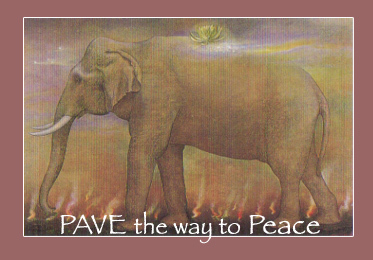 To do so, go to: www.mypeacevow.org where you can also take the Vow of Ahimsa.